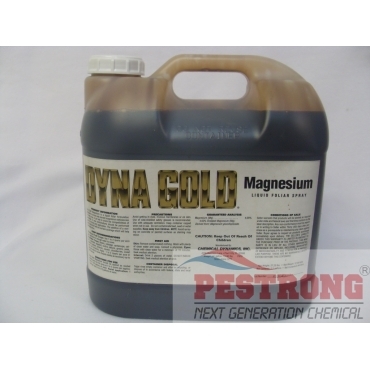 Where to Buy Dyna Gold Magnesium, Dyna Gold Chelated Magnesium 4% Liquid Fertilizer - 2.5 Gallons - $69.95 for Sale with Fast Free Shipping! Dyna Gold Chelated Magnesium is a liquid foliar formulation designed to correct and prevent magnesium deficiencies in most crops. By buying this product & leave product review you can collect normally 6 reward points as a voucher of $0.60(1%). Soluble Foliar Boron Spray Solubor - 2 - 25..
Dyna Gold Chelated Zinc 7% Liquid..
Dyna Gold Magnesium is a liquid foliar formulation designed to correct and prevent magnesium deficiencies in most crops. Citrus and Fruit Crops: Apply 1 to 2 quarts per acre per 100 gallons of water to allow for thorough coverage. Repeat as necessary. Vegetable Crops (Beans, cabbage, cantaloupe, celery, cucumber, eggplant, endive, lettuce, greens, peas, melons, pepper, potatoes, squash, strawberries, sweet corn and tomatoes): Apply 1 to 2 quarts per acre per 100 gallons of water to cover. Repeat weekly as necessary up to first harvest. Excellent Primary and secondary plant nutrients.